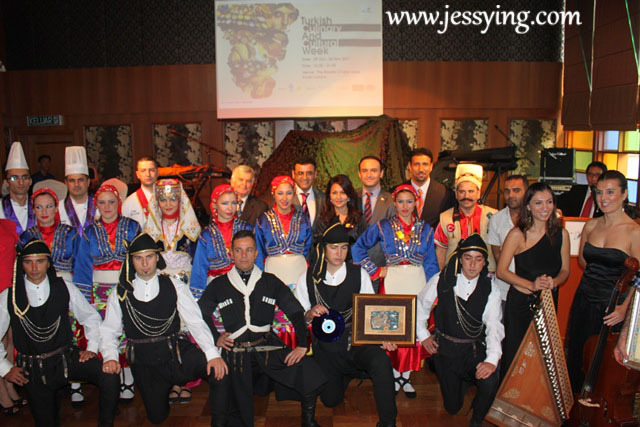 In conjunction with the 88th Anniversary of the Republic of Turkey, I was lucky to be invited by Turkey Tourism and Information Office in Malaysia to celebrate and commemorate the occasion by hosting Turkey Culinary and Cultural Week 2011. 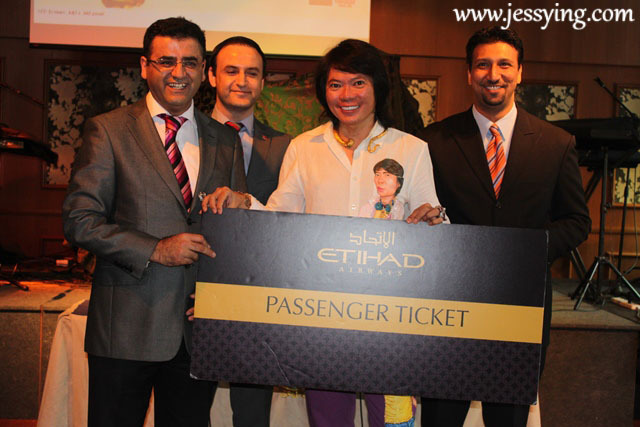 It was organized in close collaboration with the Official Hotel and Event Partner, the Royale Chulan Hotel of Kuala Lumpur and event sponsors Etihad Airways and Ravika Olive Oil. 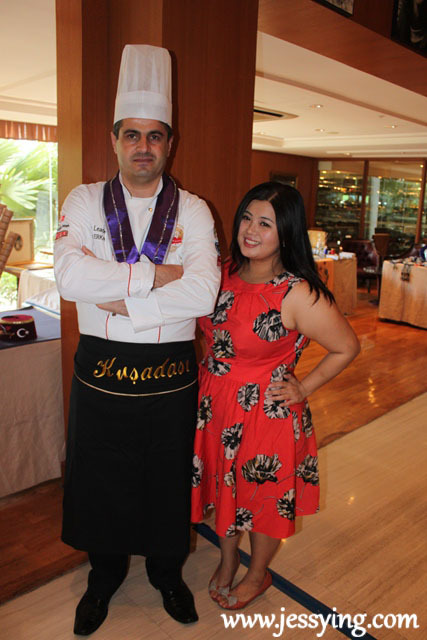 Turkish Culinary and Cultural Week 2011 was held from 28th October to 4th November 2011 at the Royale Chulan Hotel, KL. 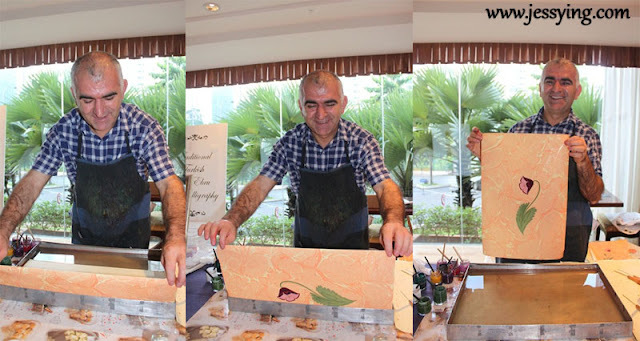 Mr Ali Gulen , the Cultural and Toursim Attache of the Tourism and Information Office of the Embassy of the Republic of Turket in Malaysia said that they have flown in an entourage of 23 people comprising of chefs, dancers, musicians and Turksish craftmen including calligrahists and well-known EBRU or paper marbling expert Mustafa Erkan for the week. At the event we are entertained by Turkish band playing Turkish classical music. 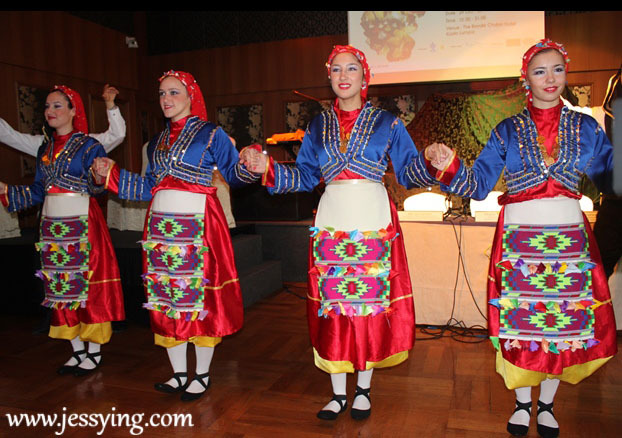 "Mevlevi ritual dance (sema), folk dance and rhythm show. 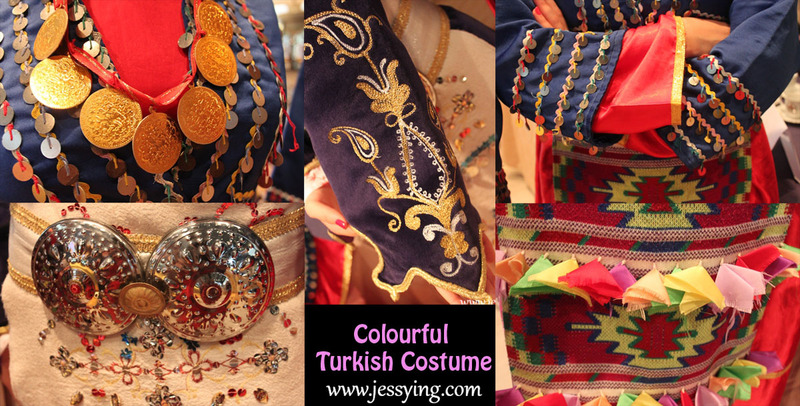 I can't help to notice how interesting and colourful are their traditional costume! Looked at the details! 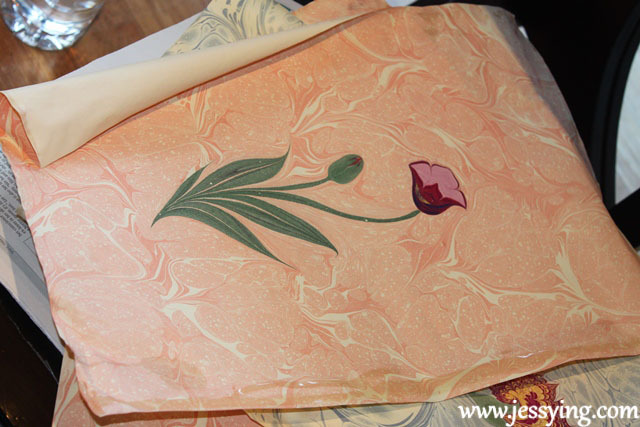 Everything is so colourful and making me thinking that Turkey must be a happy place to be in! 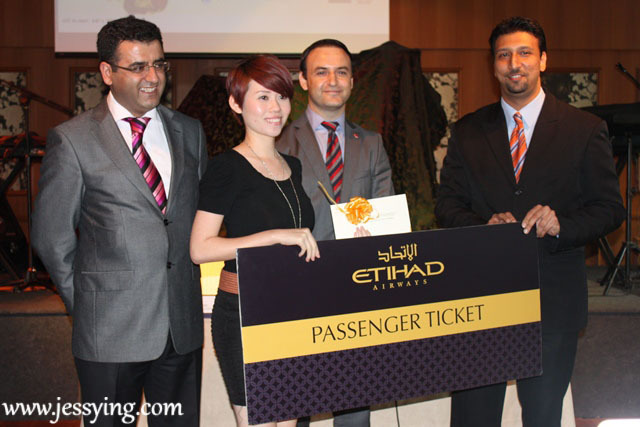 Anyway I was hoping to win the lucky draw at the event, where 2 return air-tickets to Turkey, sponsored by Etihad Airways and a 4d3n accomodation in a 4 star hotel in Istanbul, courtesy of the Turkish Tourism and Information Office in Malaysia! BUT NO LUCK! Instead the flamboyant Kee Hua Chee won it !! And just a few minutes ago, he was sharing to the crowds his Turkey trips and I think he been there for at least 7th times ! Anonther member of the media won it ! Ah... no luck!! Because it has been years that I really wanted to visit Turkey! Anyway I head on try the fine samples from Turkish cuisine to compensate my sadness! Chefs who came all the way from Turkey! The food was yummy !!! This was served everyday between 18.30 and 21:00 everyday during the Turkish Culinary and Cultural Week... So any of you managed to try ? 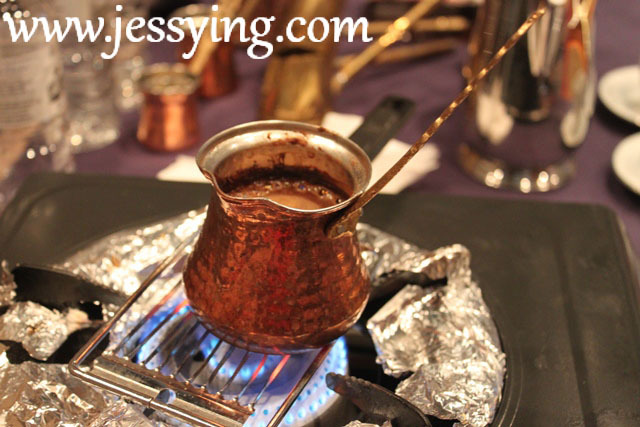 Not forgetting the freshly brewed Turkish coffee! I must admit this is good although I'm not a coffee expert!! Not forgetting the Turkish ice-cream made from goat milk! See the way how he cut it ! Looked how happy am I and this is the evidence how good it is! 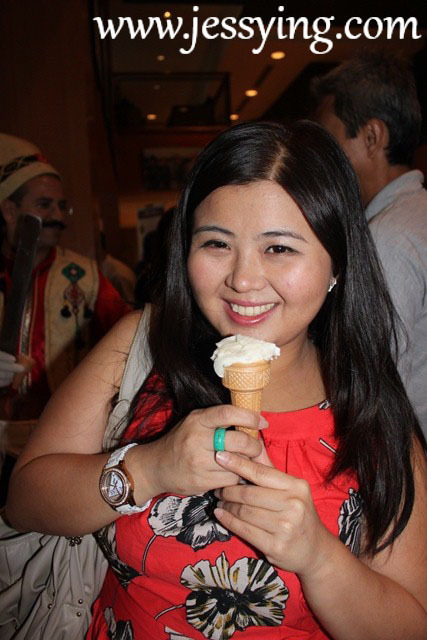 I like how the ice-cream was chewy, not melting that fast and the sweetest of the goat milk! p/s:A little confession, I think I had THREE .... because it was so so so good!!! 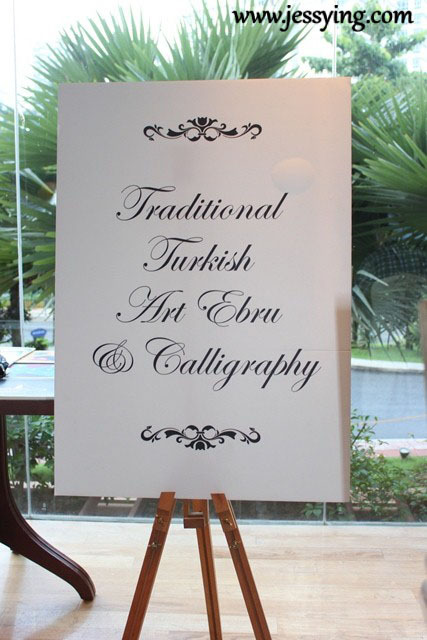 Apart from that, there is a demo of traditional Calligraphy and Traditionl Truskish Art Ebru! This something very interesting ! Not sure if some of you have seen this before ? This is Ebru Art Master Mustafa Erkan ! Looked how he did the flowers! 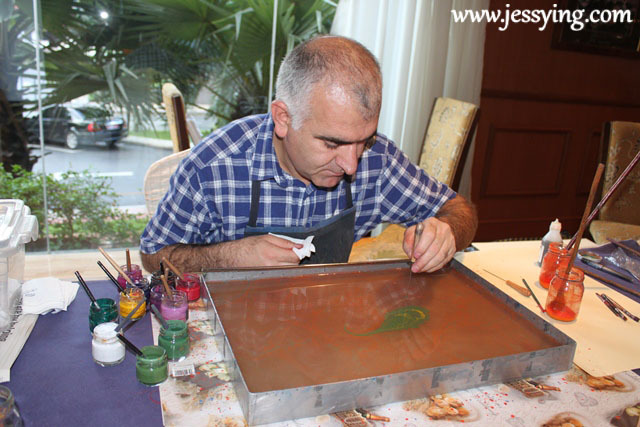 A shallow tray filled with water, and various kinds of ink or paint colors are carefully applied to the surface with an ink brush. 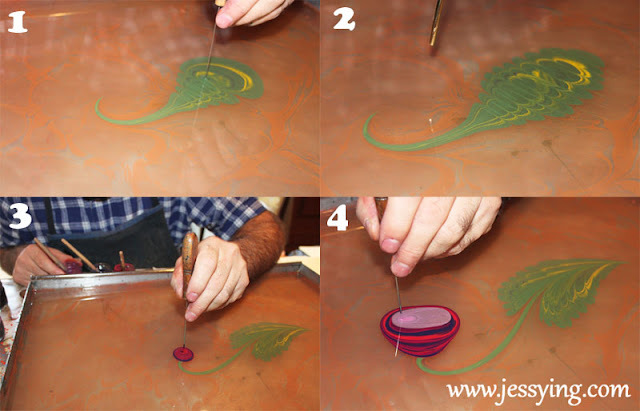 Various additives or surfactant chemicals are used to help float the colors. See how magically the colours were transferred to the paper! A very beautiful and unique art! And I got this as a souvenir! 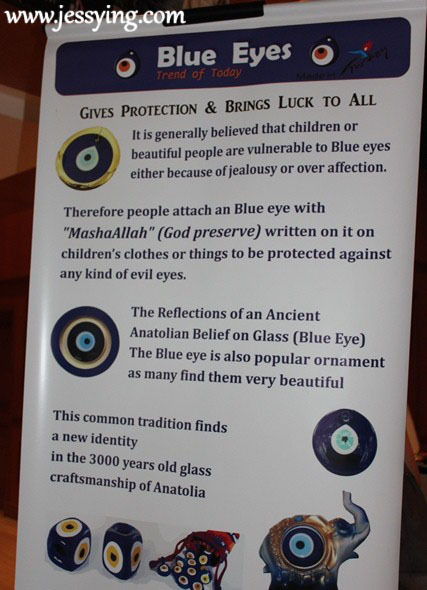 Was lucky to get this from the event because I was told that this is going to be expensive if I were to get this from Turkey! 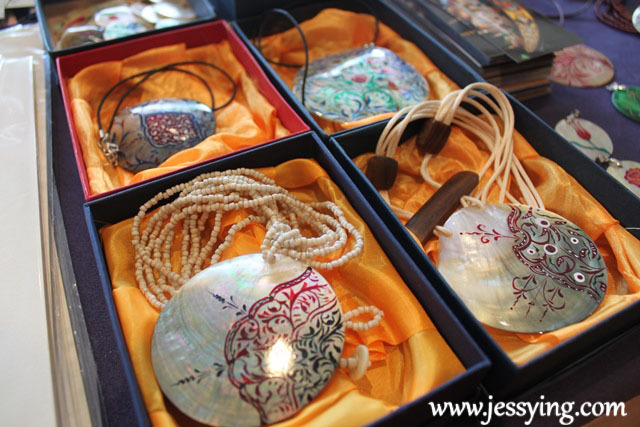 It was believe to give protection and give good luck to people who wears it! 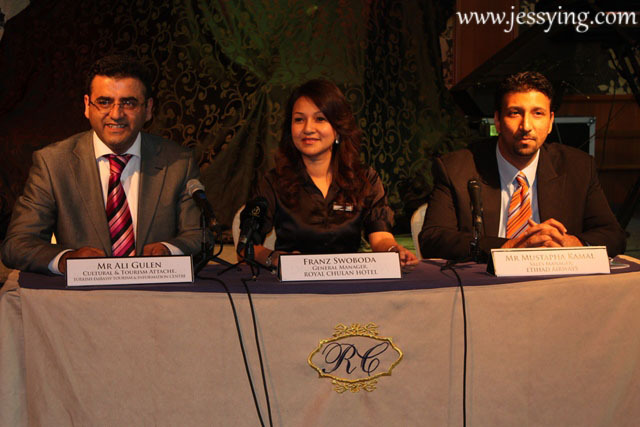 A great pleasure to meet Mr Yasin again! 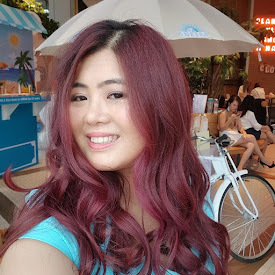 He is a very friendly person and I have met him a few times due to my work in my previous company but never got a chance to take a picure with him and now through blogging I met him again and manged to snap a photo! After the event, I was sure that I will visit Turkey on of this day! Wow, lovely. I like the Turkish costumes. What a fun event! 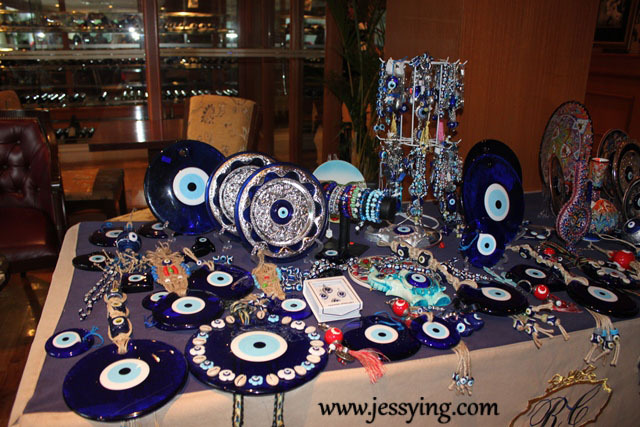 I love Turkey, and Turkish food! eat 3 ice cream, never share..
Come to turkey . here is wonderful place. i am malaysian but lives in istanbul for good .